Currently a professor of College of Informatics of Shizuoka University, Japan. Has experiences of working at UCLA & NCSU as a visiting scholar. Specializes developing educational software involving math (including search engine of math expressions) and English, and numerical analysis. 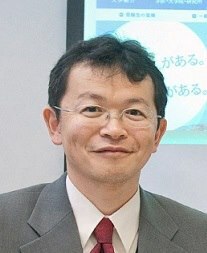 Yoshinori Miyazaki is currently a professor of College of Informatics of Shizuoka University, Japan. He received his Ph. D. in the program of Engineering from the University of Tsukuba in Japan in 2000. He has experiences of working as a visiting scholar at UCLA (University of California at Los Angeles) in 1999 and at NCSU (North Carolina State University) in 2013, respectively. He specializes in the development of educational software especially involving math and English. His research interests also include numerical analysis (for the solution of differential equations) and e-learning and its peripherals (such as developing search engine of math expressions). QUALIFICATIONS ・Over 20 years of teaching experiences at junior college and universities ・Teach mathematics, numerical analysis, IT skills, and others ・Ph. D. in Engineering (@ Tsukuba University in Japan, in March, 2000) ・Good communication skills in oral and written Japanese and English (TOEIC score : 950).